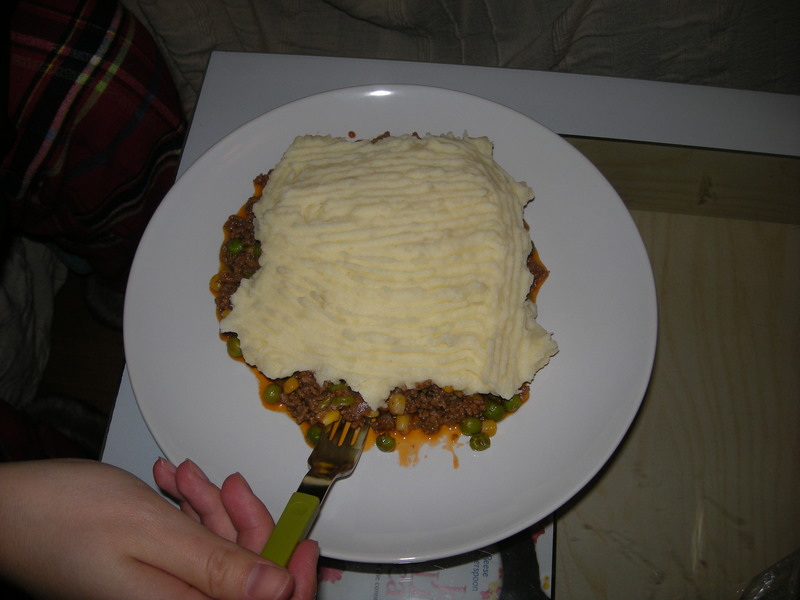 This is the best shepherd’s pie. Yeah, yeah, everyone’s is the ‘best’, but just give it a try, all right? Good. Heat olive oil in frying pan over medium-high heat. Add onion and simmer just until it takes on colour (about 3 to 4 minutes). Add garlic and stir to combine. Add meat and seasonings, and cook until cooked through (no longer pink). Sprinkle meat with flour and toss to coat, continuing to cook for another minute. Add tomato paste, Worcestershire sauce, ketchup, and beef stock pot. Stir to combine. Bring to a boil, reduce heat, and let simmer for about 10 to 12 minutes (until sauce thickens slightly). Add corn and peas, then spread into baking dish. Top with mashed potatoes (and a little bit of paprika, if that’s your thing) and bake for 25 minutes or until the top of the potatoes begin to brown. Source: We took Alton Brown’s recipe and adapted it to include the flavours we enjoy (ketchup and oregano were not in the original recipe). 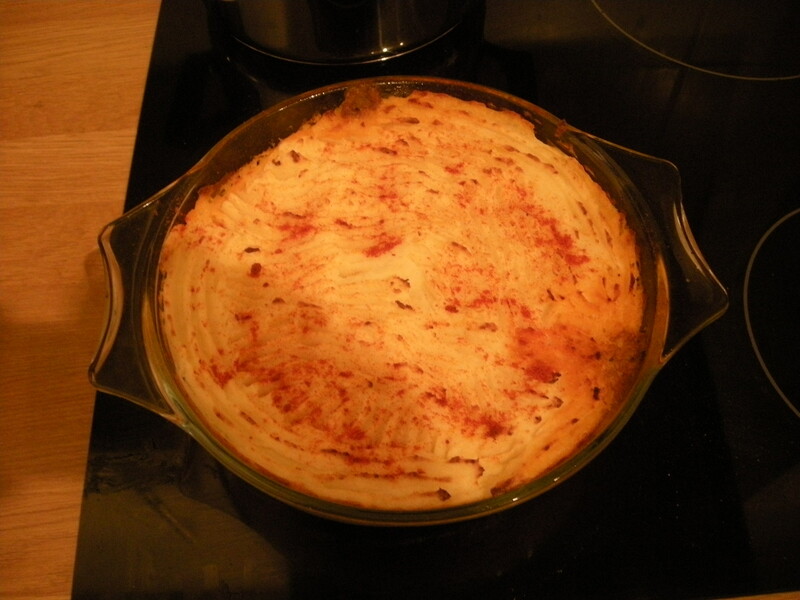 This entry was posted in Recipes and tagged recipe, shepherd's pie, yummy. Bookmark the permalink.